No matter how hard you try, receiving new gear is always problematic, particularly interfacing with the shipper. Some months ago, I contacted Audio Note (U.K.) about the possibility of getting an Audio Note M10 Signature for review. Later, I received an email from Audio Note (U.K.) that they had completed a review sample and that DHL was airfreighting it to Houston. Subsequently, I contacted DHL and requested that the delivery be postponed for the following Tuesday so that I could arrange to be at home. You probably already know where this is going (and you would be right). Monday afternoon, I received a frantic call from Audio Note that the packages were sitting on my front porch. “Could I drop everything and go home to check on them?” I managed to get home (with my remarkably patient granddaughter in tow) to find a total of five boxes on my doorstep, two of which seemed large enough to contain a sofa and two easy chairs. I rolled them in and took anti-inflammatories that night. Neli Davis of Audio Federation arrived Friday evening to help with set-up. She suggested that we audition the existing preamp in the system (Einstein preamp + EMM Labs MTRX amps) to get an idea of the system’s sound. As sometimes happens with good listening, we did not turn in until 3 a.m.
You might wonder how much set-up a preamp requires. Isn’t it “plug and play”? 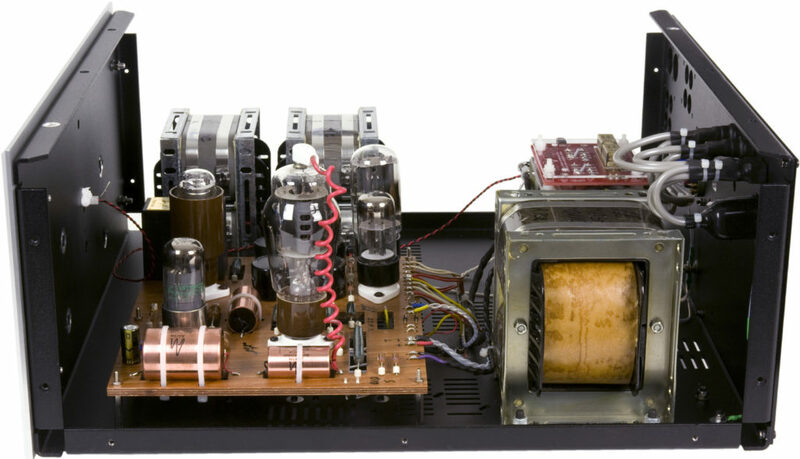 In the case of the Audio Note M10 Signature, the answer would be a resounding “No.” The preamp consists of two massive 60lb power supplies, each the size of a large tube amplifier, plus the preamp control section and the myriad of power cords and umbilicals necessary to connect everything. Given the size and complexity of all of this, the question of where to site everything becomes an issue as well. In any event, three hours later it was finally time to turn everything back on and start the warm-up and break-in process. Within about an hour, the sound began to settle in (though I sensed that more break-in was in store). The only nit was that the stepped attenuator on the preamp coupled with the high gain of the EMM Labs MTRX amps basically meant that the range of volume adjustment was distinctly narrower than ideal. My erstwhile publisher, Constantine Soo, previously discussed in detail the technological innovations that have made this product possible. 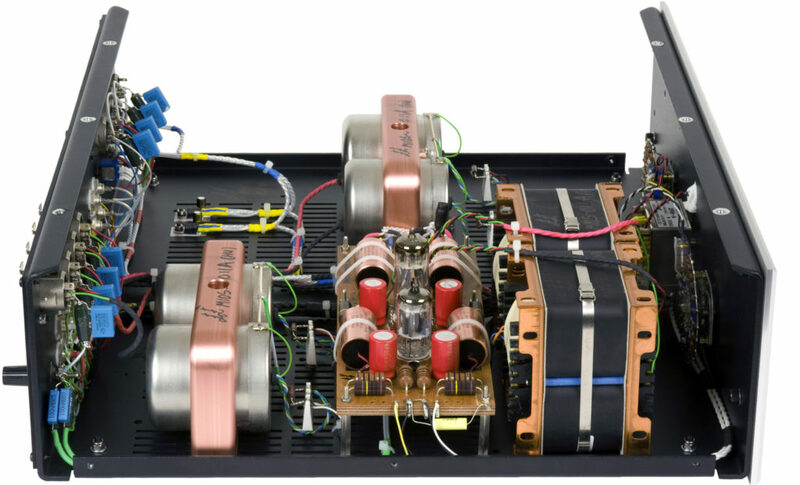 Please see his excellent article “Audio Note UK launches the flagship preamplifier, the M10 Line Signature,” Dagogo, March 2013. At this juncture, Neli and I both needed a break. The Houston Audio Society had scheduled a Christmas party for that evening and I wanted to introduce Neli around to some of my friends. We finally returned home about 9:00 p.m. with several of these listening buddies in tow. At this point, the system had been playing for about six hours and the sound was noticeably more refined. In particular, intelligibility of voices was superb; depth and three-dimensionality were improved over the Einstein and, according to Neli, would get significantly better with further break-in. I attend two, sometimes three, live classical concerts a month and the recreation of depth and three-dimensionality have always been key to my enjoyment of reproduced sound. Tonality and accurate recreation of timbre are also paramount. We had another very late evening. I had not really planned on making any further changes to the system configuration; however, Neli really wanted to hear the Audio Note M10 Signature in conjunction with my Audio Note Balanced Kegon amplifiers. Moving the 230# EMM MTRX amps in and out of the system is not a task undertaken lightly, but my friend and fellow audiophile Paul Jackson was in from London – and being a strapping youth of 40, hoisted the EMMs as if they were featherweights. Not surprisingly, the combination of the two Audio Note components was a very synergistic match and continued to sound better and better the longer that we listened. At some point, we inserted Finite Elemente Cerabases under the preamp and its two power supply boxes, which rather significantly improved the sound in all the ways that one might expect. After Neli left, I spent the remainder of the evening listening. Even at this early point in my evaluation, it was clear that there was something very special about the sound of the Audio Note M10 Signature, particularly when used in conjunction with the companion Audio Note Balanced Kegon amplifiers driving the Acapella Audio Arts Triolon Exalibur speaker system. I allowed at least a hundred hours of break-in before doing serious listening, though we did do some listening during that process. While avoiding extended commentary, I would just note that the M10 during break-in sounded, for the most part, as one might expect: the bass as manifested by the Acapella speakers was not fully filled-in and the treble via the ion tweeters at times seemed under-defined (especially when listening to cymbals). The overall sound could at times be just a bit “hard,” which surprised me, but which seemed to disappear over time. A few comments about the sound at this point follow. These comments are based on listening to digital media through the EMM TX2 Transport and DA2 Processor, as my turntable was temporarily out of commission while awaiting a new compressor. ORG did an SACD reissue of Jeff Buckley’s first album, Grace, in addition to a 45 reissue. The SACD was mastered by Bernie Grundman. We noted over a couple of listening sessions that transients were powerful, Buckley’s voice well-centered and palpable, and the drums clearly placed, loud and tight (almost too much so, but some of that may be the recording). The mastering seemed a bit bright on my system, but this SACD has sounded bright elsewhere. (One of our number was of the view that the mastering sounded typical for Grundman, and that what I might call “bright” sounded good to him.) Guitars are captured about as cleanly as I have ever heard, with excellent layering – and there are a lot of guitars tracked in. Indeed, this album is very busy in general and represents an enormous amount of work on the part of Buckley and his production and engineering team. To its credit, the Audio Note M10 seemed to be able to separate out the complex, overlapping threads of musical dialogue in an intelligible and easily distinguishable manner that made for rewarding listening. On a CD of Strauss’s Four Last Songs (RCA, Eschenbach, Houston Symphony), the Audio Note brought out the unique tone and texture of Renee Fleming’s voice. She was louder than the orchestra and not well blended – although this was surely an issue of microphones and engineering. The orchestra was rich but this RCA re-issue, from relatively early in the digital days, is not particularly warm. One of the most rewarding experiences for a trio of us listeners was hearing a recent live recording of the Martinu 4th Symphony with Belohlavek conducting the BBC Symphony (Onyx 4061), a piece two of us had never heard. Not only was it a joy to discover this music, but it also became clear during multiple listens over multiple days that the M10 Signature was now fully broken in and had developed a beguiling depth and three-dimensionality. The thing that was so satisfying about hearing this music through the M10 as opposed to the Einstein was that the top to bottom coherence was remarkably seamless. The musical lines are very active and cover the whole range of the orchestra. The “handoffs” between winds and strings, between cellos and violins, top to bottom of the range, was effortless. Complex musical lines were easily followed throughout the thickly orchestrated symphony and made clear sense to the ears. Put another way, when the music interwove many different threads, it was easier to pick out a particular thread and follow it than I have typically experienced. The retrieval of extra detail in the bass was superb – the cellos and basses chugged and thumped along powerfully without in any way becoming overbearing. The combination of a lowered noise floor and added resolution of low level detail significantly increased the amount of ambient information coming through. Recreation of the reverberation of the bass drum in the hall, bass slam, and palpability were all excellent. Note: Due to Audio Note UK's ongoing research and development program, specifications are subject to change without notice. These prices are crazy! When I go to audio shows and hear systems costing from $100,000 to $1,000,000, they rarely match, much less beat my modest system: Fulton J speakers, VPI Classic 11 in rosewood, Lyra Delos, Counterpoint SA-2, RAM phono, Mystere CA 21, Margules amp. I am really not going to make any arguments about the price/value ratio. I view it much the same way as I view purchasing Patek Philippe watches. What I can say is that I have over the years had many preamps in my system for review and since I purchased the Einstein preamp over ten years ago, I have never really heard anything (prior to the M10) which convinced me to change. This is not to say that the Einstein was perfect, only that its particular mix of strengths and weaknesses appealed to me. Fast forward, the Audio Note is in every respect (except ergonomics) superior to the Einstein or for that matter anything else which I have heard with the possible exception of a prototype which has not yet reached final production, but shows much promise. In some areas, I cannot imagine that the M10’s performance can be improved upon at any price in terms of accuracy of tone/timbre, dynamics, coherence and retrieval of detail. The good news is that much of what makes the M10 Signature so special can be found in some degree in the company’s less expensive products with the same attention to detail, simple circuits exceptionally well executed and focus on musicality. This is equipment made by music lovers for people who love music. Wow…maybe I will get 2 !!! Other world prices…for the king of Jupiter maybe ? Unless you do blind listening, your conclusions are suspect IMO. My point is that the 1,000,000 systems I hear at audio shows, like CAS, are much much less accurate than my system. There is a huge bias to favor the more costly, newer, component over older ones. I am talking about long term blind listening, but scans blind listening, “critics” continually favor the newer, more costly components. I want to thank you gents for your readership, your comments and the civility exercised. I support comments for or against the reviewer’s perspective as long as there is no profanity or personal attack. Your viewpoints are no less valid than Fred’s but I’ve been to his place and listened to his system and I know what performance level it is capable of. That said, let’s respect each other on how we spend our money and not invalidate the reviewer’s opinion. After all, he did spend time and share his joy with us. A hundred thousand dollars may not be as big a deal to Fred and a thousand bucks for a pair of cables may not be as big a deal to you, but you know where I’m going. The important thing is, like my late mom used to say, don’t spend all your money on this hobby. I have in the past owned both the SA2 and the RAM phono. Both are fabulous products that deliver performance far in excess of their price. It is possible to get great sound without breaking the bank. No system is perfect and none that I have heard are equal to live performances. About the most which you can hope for is to occasionally that your system will fool you. I try to attend 25-30 live performances a year, not to calibrate my ears but because I love music. Everything in my system was purchased. There are no long term loans. Other than digital gear, most of my system components have been in the system for 8-10 years; consequently, I know their strengths and weaknesses. Reviews typically involve placing new products in my system for a minimum of three months and during that time re-inserting my long term reference. That methodology seems to work for me. High end audio is subject to the law of diminishing returns but occasionally something does come along that represents a step change. I hope that you at some point get to hear an M10 so that you can reach your own conclusions. Thanks for this interesting review. I suppose most (audio) consumers are not happy about the very high prices many audio manufacturers are charging for their top of the line products in recent years but apparently the market in the Far East makes this possible/necessary. But these very high prices are not the reason why I am resposding. 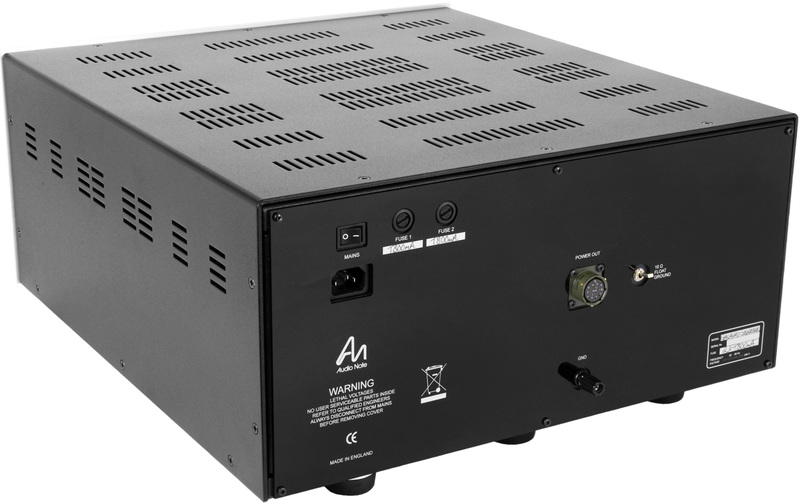 In light of the price of this m10 unit and the background of Audio Note UK I was wondering: have you ever considered of maybe even compared to the (latest) Audio Note Japan or Kondo products, such as their (former two unit) m1000 or (current two unit) g1000 linestage/preamp? The latter is around usd 110k so more or less in the same pricerange as the m10 you tested. I very much wish that I had access to the Kondo piece which you mentioned. Unfortunately, it takes time to develop the type of relationship with high end manufacturers that makes them feel comfortable in loaning equipment for the extended period needed for a review (months, not days or even weeks). I would add that I have great respect for the Kondo gear and will make an effort to get some for review. Thanks again for your interest. The M10 cost the same as an AMG GT R. I appreciate fine kit as much as the next guy but the value is very skewed. I mean really. The technology you get in a 100+K automobile compared to any piece of audio gear? But then if your thinking about value your not the customer for this kind of item. My lottery system could go this way. I could be that guy. I enjoy Peter Breuninger’s videos highlighting his ANUK ultimate system. I’m glad he has it and shares it with us in the small way he can. I can’t see where the price justifies the end. If you were to dismantle this preamp and put all the parts in a box, I’m willing to bet they wouldn’t even be a fraction of the asking price. Further the chassis definately don’t reflect the asking price for this pre because they are very unassuming, something you might see in a much less priced unit. Maybe you can hire Dartzeel to make a fabulous chassis. I think the appropriate factor to consider is if there is a superior product for less out there of which Fred is aware. The answer should be obvious. Your comment on the parts quality of the M10 is not based on actual observation, so it is baseless. As a reviewer and past owner of several of Peter Qvortrup’s products, I can attest to the quality of parts inside his products, as well as to the extent and intensity of labor required in the assembly of his products. If for a fraction of the M10’s price one can have the equivalent of the M10, be it at 50% or even 75% of the M10’s MSRP, people will take note and sales will ensue. I think it is fair for any company that endeavors to build a product as exotic and superb as the M10 to reap the benefits. The question is if there are any other companies out there with the financial, technological and personnel resources to design, build and market the product, and yet be fiscally strong enough to sustain the hit if sales don’t come through. On chassis design, each brand has its aesthetic trademark and for many companies the extent to which it allocates its resources in chassis design is an expression of the company’s mission statement in itself. Audio Note UK’s production designs may not be to everyone’s taste in the same way some of us find another company’s extravagant chassis design misplaced. Might we not have to expect to pay even more should Peter spend more resources in making his M10 aesthetically more exotic? While I can’t say the product justifies its exorbitant price, I don’t mind the unassuming look. I am always dismayed by the look of modern tube gears, especially the kind with ridiculously thick faceplate carved out by hi-tech CNC machines that resembles a toy made for robots! 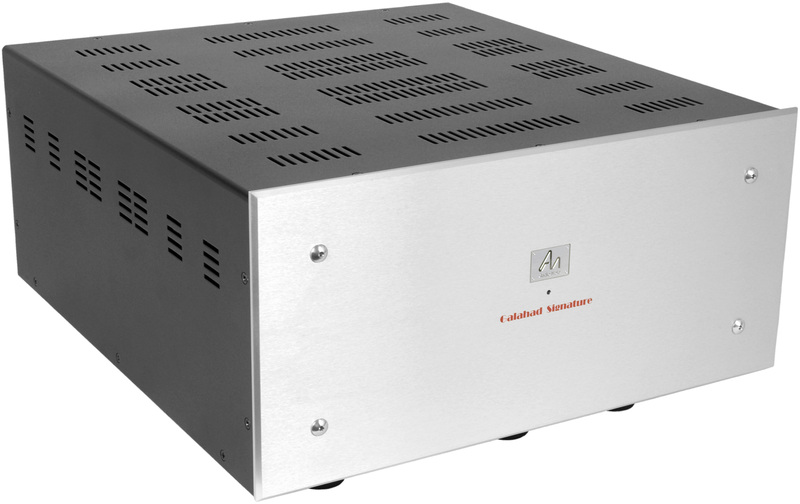 This addiction for amplifiers that look like audio jewelry is vulgar and tasteless, not to mention the wastefulness. I much prefer to appreciate a product’s inner beauty that the innards at least displays a sizable number of quality parts and the M10 certainly possesses, particularly the silver input and output transformers. Over the years, I have seen too many expensive gears with jewelry looking enclosures that houses unappetizing cheap parts and shoddy workmanship, e.g., big chassis with a lot of empty real estate inside and a few cheap IC chips! 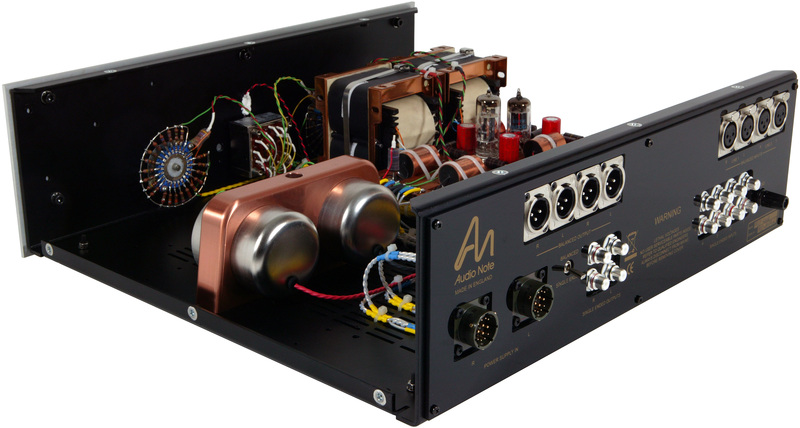 Again, I have no way of knowing if this preamp is worth the price but its understated look is the last thing I want to complain about and I applaud Audio Note for sticking with their subtle look and not tempted by the modern trend towards obscene gaudiness.